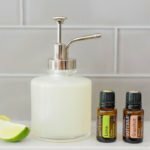 So easy to make, this homemade liquid hand soap castile recipe uses only four ingredients and will keep your hands soft, clean and moisturized. In a soap dispenser, add all ingredients and stir/shake until everything is combined. Wash hands using soap and rinse off.